"Every child is worth it." 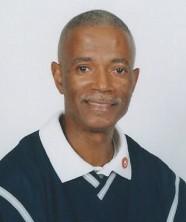 Ray N. Fredrick, Jr. is a retired Health and Physical Education Teacher. He retired from teaching in the Chapel Hill-Carrboro City Schools System in 2007, after teaching P.E. for 30 years in the State of North Carolina. He earned his B.S. Degree in Health and Physical Education from Western Carolina University, and Advanced Certification in Administration and Supervision from North Carolina Central University. As an internationally recognized teacher, he has presented innovative jump rope techniques at camps, workshops, in-service meetings, and conventions world-wide. 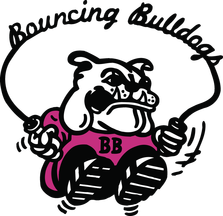 He has coached the Bouncing Bulldogs for 30 years. In recognition of his accomplishments, Coach Fredrick has received numerous awards, including the highest award for service in North Carolina, given by the Governor, The Long Leaf Pine Award. He is the 2010 Recipient of the Neil Keller Award presented by USA Jump Rope in conjunction with the Amateur Athletic Union (AAU) for his continuous work in promoting the growth of the sport of rope skipping. He and the championship-winning Bulldogs have been featured on the front page of the Wall Street Journal and on the CBS Evening News with Katie Couric. The team, along with another team from the Carolinas, is also the central focus of the Discovery Films documentary film DOUBLETIME.